Having earned her Bachelor of Arts degree from Hunter College of the City University of New York and her Juris Doctorate degree from Pace University School of Law, Ms. Aretsky was admitted to practice law in New Jersey in 1988. Ms. Aretsky is a member of the Bergen County Bar Association and was also selected to be a member of the Justice Morris Pashman Inns of Court and the Barry Croland Family Law Inns of Court. 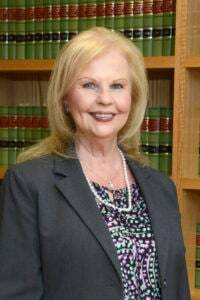 Having completed the 40 hour training program offered by the Board on Continuing Legal Education, Dolores Aretsky is a Court Approved Divorce & Family Law Mediator. As such, she is listed on the Roster of Mediators for Economic Aspects of Family Law Cases in Bergen County and has assisted many couples reach an amicable agreement. Ms. Aretsky will mediate in Bergen, Passaic, Hudson, and Morris counties.